Adamson is one of Australia's leading poets, and is a successful writer, editor and publisher. His books have been published in the UK and the USA and his poems have been translated into several languages. He has published fifteen volumes of poetry and has organised and produced poetry readings, delivered papers, lectures and readings at literary festivals throughout Australia and internationally. He has been writer-in-residence at Australian universities, and was President of the Poetry Society of Australia, 1974-1980. 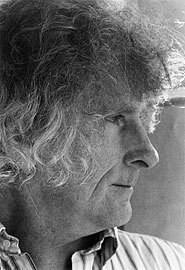 He was a key player in the growth of the 'New Australian Poetry' and was an editor of the Poetry Society of Australia's magazine, New Poetry, from 1968 until 1982. He taught creative writing classes for the W.E.A during the seventies and was the poetry reviewer for Australia's national newspaper, The Australian. In 1975-76 Adamson organised, as President of the Poetry Society, Australian reading tours for Robert Creeley and Robert Duncan. Robert Adamson has worked as a poetry editor and consultant with Angus & Robertson/HarperCollins and he established several small publishing companies, including Prism Books and Big Smoke. He was the poetry editor the literary magazine Ulitarra from 1993 to 1997. In 1997 he became a founding editor, along with James Taylor, of the international poetry journal Boxkite. Adamson, with Juno Gemes and Michael Wilding, established Paper Bark Press in 1986 – a small press that went on to become one of Australia's major poetry publishing companies with a backlist of over thirty books. Robert Adamson's 1990 collection, The Clean Dark (Paper Bark Press, Australia), won both the Victorian and NSW Premiers' prizes as well as Australia's National Book Council 'Banjo' Award. It was the first time all three major prizes went to the same book. This was followed by Waving to Hart Crane in 1994 (A&R/HarperCollins) which was shortlisted for the Kenneth Slessor Award for Poetry and the Australian Literary Gold Medal, University of NSW. In 1995 Adamson was awarded the FWA's Christopher Brennan Award for a lifetime's achievement in poetry. Mulberry Leaves, New & Selected Poems 1970-2001 was published in 2001 by Paper Bark Press. Adamson's 18th book brought together the best of his poetry from 1970 to 2001. With a career spanning three decades, Adamson's work in Mulberry Leaves bears out Dorothy Hewett's observation that 'with each book his maturity and control increases'. This rich but discriminating selection consolidated his claim to being 'the most unique poet of his generation' and a 'key figure' according to the Times Literary Supplement. In 2002 Adamson attended the Cambridge Conference of Contempoary Poety and read with the American poet Michael Palmer and Lee Harwood from the UK. 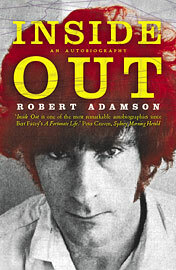 Adamson's autobiography, Inside Out, was published in March 2004 by Text Publishing. Inside Out was shortlisted for the Melbourne Age's Book of the Year Awards 2004, the Queensland Premier's Literary Awards 2004 and NSW Premier's History Awards 2004, State Library of New South Wales National Biography Award 2004, and the NSW Premier's Literary Award's Douglas Stewart Prize for non-fiction. Reading the River, Selected Poems was published in June 2004 in the UK by Bloodaxe Books. He appeared at the 2004 Ledbury Poetry Festival, read at Festival Hall, London, and read Reading The River at the Dublin Writers' Festival, Dublin City 2004. Adamson's new book, The Goldfinches of Baghdad, was published in the USA by Flood Editions, Chicago (March 2006). 2005 Inside Out, Shortlisted, New South Wales Premier's Literary Award for Non Fiction. 2005 Inside Out, Shortlisted, State Library of New South Wales National Biography Award. 2004 Inside Out, Shortlisted, The Age Book of The Year. 2004 Inside Out, Shortlisted, The Queensland Premier's Literary Award for Non Fiction. 2004 Inside Out, New South Wales Premier's History Award. 2002 Mulberry Leaves, Short-listed, The Kenneth Slessor Award for Poetry. (New South Wales Premier's Literary Awards). 2002 Mulberry Leaves, Short-listed, C.J. Dennis Award for Poetry (The Victorian Premier's Literary Awards). 1995 Waving to Hart Crane, Short-listed, Australian Gold Medal for Literature, NSW University. 1995 Waving to Hart Crane, Short-listed, The Kenneth Slessor Award. 1994 Wards of The State, Short-listed, The Age Book of The Year. 1990 The Clean Dark, Winner, The Kenneth Slessor Award for Poetry. 1990 The Clean Dark, Winner, The C.J. Dennis Award for Poetry. 1990 The Clean Dark, Winner, The Turnbull-Fox-Phillips Award (The National Book Council Banjo Award). 1979 'Growning Up Alone', Winner of the Western Australian Sesquicentenary Literary Competion. 1976 Selected Poems, Winner, The Grace Leven Prize for Poetry.